Update: This offer for the Marriott Rewards® Premier Plus Credit Card has expired. Learn more about the current offers here. What makes this especially challenging is that the programs are merging mid-year, creating even more confusion for members. As I mentioned above, the combined program is complicated. 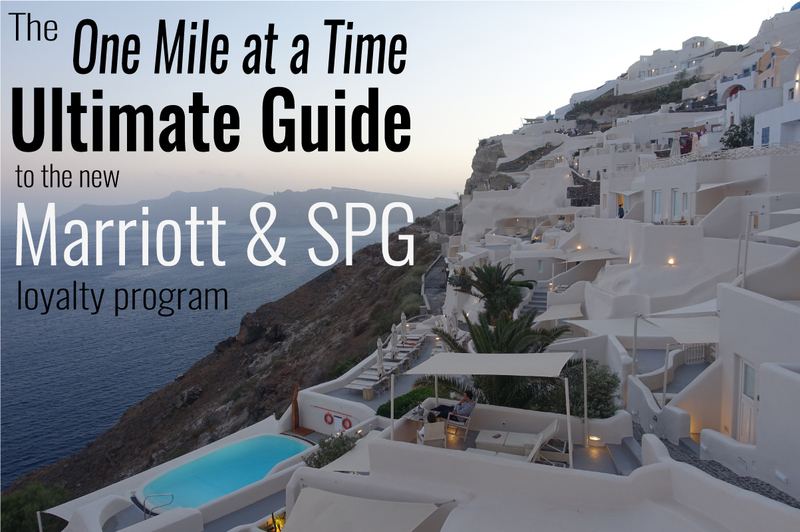 The nuances of elite recognition, earning and redeeming points, and outside partnerships all have to be addressed, with most being a change for either former SPG or Marriott members (and sometimes both). Here’s everything you need to know about the Marriott merger, including how best to prepare and maximize your points ahead of time. Now that Marriott’s takeover of Starwood is complete, the “new” Marriott has 30(ish) brands. As consumers we still have two different experiences, as we have the choice of being loyal to Starwood’s roughly dozen brands, or otherwise being loyal to Marriott’s brands, which represent the balance. At least that’s the case until the loyalty programs are formally integrated. These ~30 brands will eventually have to function in harmony, even though in reality they’re all competing with one another. When airlines merge, all planes are eventually used interchangeably. The planes go from competing with one another to complementing one another. Meanwhile hotels are individually owned, and continue to remain competitors with one another, often unhappy when mergers happen, since it means they have more direct competitors and less that makes them unique. With that in mind, Marriott is really having to grasp at straws to market individual hotels differently. That’s why I was interested to find Marriott’s current “brands” page, which shows all 31 brands of the combined Marriott and Starwood. There’s nothing terribly surprising here, though I guess what I find interesting is that they break down each category by “classic” and “distinctive.” In many cases it seems that by “classic” they mean “brands without an identity,” though that’s not true across the board. Marriott will be forming a unified loyalty program as of Saturday, August 18, 2018. The Saturday transition makes sense, as it will minimize the impact it has on members. As you might expect, migrating systems for a program with over 100 million members will be no small project. As they explained to me, this will be a technically challenging day, which is probably an understatement. We can expect that starting in the morning on, August 18 Marriott websites will be down for several hours. Then we can expect that for most of the day the loyalty systems will be down, so it won’t be possible to redeem points, attach numbers to reservations, etc. So they ask for everyone’s patience, which is fair enough. Phone agents won’t be able to book awards during that period either, so don’t expect to be able to redeem points at the new rates until late in the day on the 18th, at the earliest. When this happens, members should see that all of their points automatically transfer from Starwood Preferred Guest to Marriott Rewards at a 1:3 ratio. Furthermore, those who haven’t yet linked accounts or signed up for a Marriott account will receive a new nine digit account number. This account number should be emailed to members, and will also appear when trying to log into your account with your old member number. While all accounts will be combined on August 18th, you can link and move points between accounts already. To do so, first you’ll need to visit the Marriott Member page and click “Link Account” at the top right of the page. Once there, you’ll be prompted to choose the program from which you want to start (presumably the program with which you have the highest status and are looking to match). In my case, that would be SPG. Since I selected SPG as my program, on the next page I was prompted to enter my SPG username and password. On the next page I was given the option of linking to either Marriott Rewards or Ritz-Carlton Rewards. Keep in mind that you can only be a member of one program or the other, so you can’t match to both Marriott and Ritz-Carlton Rewards. The next page confirmed that I had been upgraded to Marriott Platinum on account of my SPG Platinum status. Sure enough, when I logged into my Marriott Rewards account it confirmed that I’m already a Platinum member. Dang, that was fast! You don’t have to have elite status in either program to link your accounts, and once you’ve done so you’ll be able to transfer points freely, as I’ll get into below. One major point of confusion has been regarding who gets Marriott Platinum status this August. However, since Starwood Gold converts into Marriott Gold, how exactly does that work? There’s an update there. Nights earned will determine status in the new program, but not linking SPG and Marriott accounts. This means that SPG Gold members who earned Marriott Gold from linking accounts will not receive Marriott Platinum status come August. However, United RewardsPlus members would earn Marriott Platinum status, since they didn’t earn the status by linking their SPG account. You first need to link your accounts, which can be done as explained above. Once you’ve done that, you can transfer points either through the same site as above, or you can use the Marriott or Starwood websites directly. 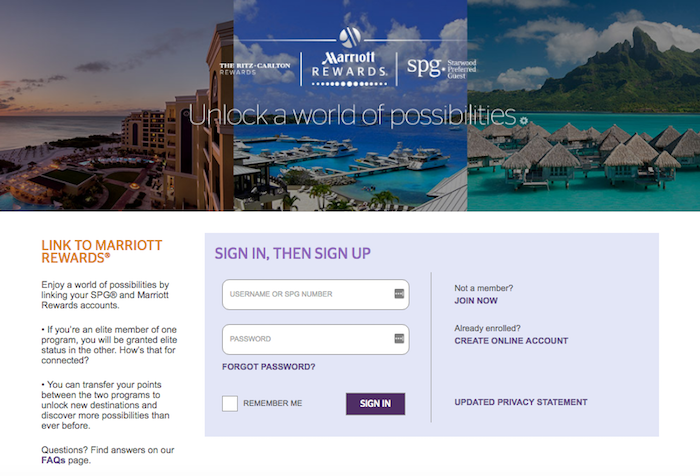 Using the SPG site as an example, you can click on “Redeem Points” and will then see “More Options,” which specifically mentions the possibility of transferring points to Marriott Rewards. On the next page you’ll see “Access More Possibilities Worldwide,” which is what you’d want to click. It’s worth noting that points transfers aren’t instant, but rather take a few hours. If you don’t transfer points manually, they will be automatically combined at some point on August 18th. 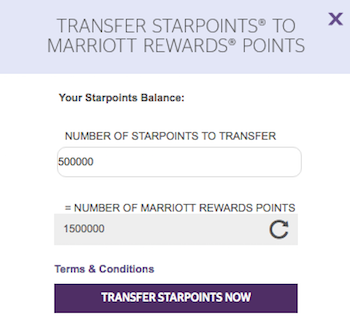 Either way, one SPG Starpoint will become three Marriott or Ritz-Carlton Rewards points. Like other hotel chains, the new Marriott Rewards incentivizes hotel guests based on how frequently they stay with affiliated properties. Brand loyalty is rewarded with enhanced points earning, and increasingly valuable perks based on the number of nights you stay each year. Elite night credits accumulate during the calendar year, so you have until December 31st to earn a given status. You then receive the benefits for the year you earn the status, and the entire following year. If you don’t re-qualify during that year, your status expires on January 31st of the next year. Now, let’s get into the various elite tiers. The combined Marriott Rewards program will have five elite tiers, with credits being awarded based on nights, not stays. All elites receive access to a dedicated reservation line, though my experiences with Marriott’s call center have not been great in the past, so I wouldn’t get too excited there. All things considered the new Platinum amenities seem fair to me, though it sure is complicated, which is my biggest complaint about the new Marriott program. When defining Platinum amenities they break the world into two regions, and break hotels down into 38 different groups. That means there are 76 different Platinum welcome amenity policies. Is that really necessary?! This just reinforces my main frustration with the new program — could this be any more complicated?! Even if I spend 100+ nights per year with Marriott family properties, I don’t think I’ll ever be able to remember this system. 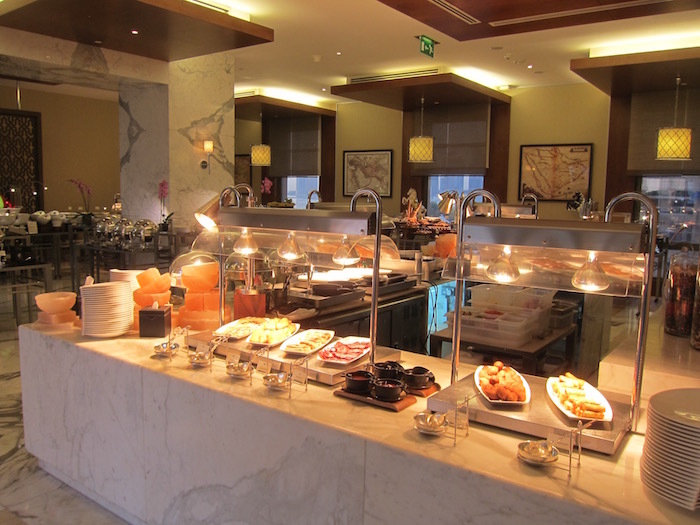 The breakfast situation is one of the biggest disappointments of Marriott’s new program. Rather than taking the opportunity to streamline the program and include a competitive breakfast benefit, Marriott has stuck with a complex and limited breakfast program. It’s telling that we need a separate section for this, especially when compared to the old SPG Platinum breakfast policy. High-level, the approach Marriott seems to be taking is that Platinum elites and upget lounge access, where there should be breakfast. But two-thirds of Marriott’s brands don’t offer lounge access, including resort properties, so that’s hardly a comprehensive approach. Instead, each brand will have slightly different rules (and each of those rules will have exceptions). Here’s a more detailed overview of the new elite breakfast policies, and then we’ll go through the exceptions. As if this wasn’t confusing enough, there are some important caveats. At brands that are supposed to provide lounges, but where the lounge is closed, Platinum elites will receive a choice of continental breakfast for two in the hotel restaurant or 750 Rewards points. At the above properties you will at least get 1,000 points if the lounge is closed, if that’s any consolation. Marriott’s documentation is unclear as to what happens if a given property doesn’t have a lounge at all — we’ll update if that’s clarified. 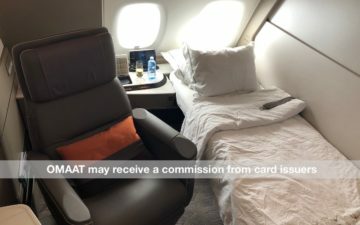 For brands in Europe that are supposed to provide lounges, but don’t have lounges at all, Platinum elites will receive a choice of continental breakfast for two in the hotel restaurant or 750 Rewards points. Marriott’s documentation is unclear as to what happens if a given property has a lounge that is closed for whatever reason — we’ll update if that’s clarified. Marriott hasn’t provided guidance as to what will happen breakfast-wise at hotels outside these two regions. We have limited data points, and it will likely vary by property, but my guess is that worst-case, Platinum’s will be able to use their welcome amenity as a breakfast credit of some sort. When Tiffany stayed at the Marriott in Jordan, as an example, the hotel offered the full breakfast buffet to all Platinum guests. Once again, if Marriott provides more details we’ll update this section. Courtyard is Marriott’s largest brand, with over 1,000 hotels around the world. When the details of Marriott’s new loyalty program were first announced in April, one of the positive developments was that Marriott was expanding free elite breakfast to more brands. Specifically, breakfast was supposed to be expanded to Courtyards and to resorts, meaning that the only brands that wouldn’t offer free breakfast are EDITION, Gaylord, Ritz-Carlton, Marriott Executive Apartments, and Marriott Vacation Club. The amenity can be used for breakfast at the Courtyard Bistro, however, we wanted to make it more flexible for members. If they choose, they may use it for any F&B offered at Courtyard hotels. For example, members may opt to use it for the evening happy hour. I followed up again to ask if the credit at US, Canada, and Europe properties was really only once per stay, and they indicated that the chart was incorrect, and that they’re working on updating it. That means that at all Courtyard properties around the world you should have the option of selecting a $10 food & beverage credit per person per day. The issue is still that a $10 per person credit won’t cover breakfast at most properties. For example, the Courtyard Los Angeles Westside charges $18.95 per person for breakfast. This is ultimately an improvement over their old policy, but still not good. Marriott Platinum members in the new program will receive guaranteed 4 p.m. check-out, except at resorts, where it’s subject to availability. This is great news, and follows the precedent set by Starwood. Gold members will receive 2 p.m. late check-out, but it will be subject to availability, so that can be denied by the hotel. Then Silver members will receive preferential late check-out, and the interpretation of that is up to the individual hotel. Your24 is a benefit that Starwood has offered to those who earned at least 75 elite nights per year. With the new program, Your24 will be limited to those who earn Ambassador status, which requires 100 nights plus $20,000 in eligible spend per year to earn. For those members, Your24 will continue to be available. With this, eligible members can choose any 24 hour period in which they want to check-in and check-out. The catch is that this is subject to availability, and the hotel will confirm this at most a couple of days in advance. Personally I’ve found this feature to be of limited use, given the lack of confirmability in advance, which is valuable for these kinds of stays. 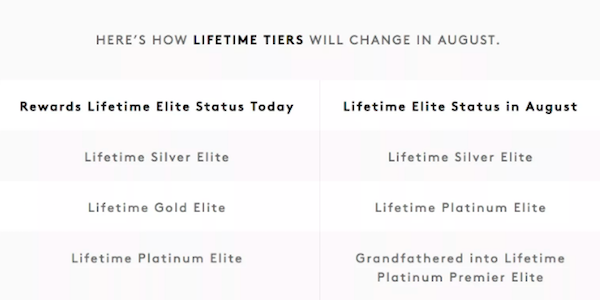 In 2018 there’s also an opportunity to earn lifetime Platinum Premier status, which won’t be available in the future. Members who have reached 750 nights and ten years of Platinum status by the end of this year will qualify for Platinum Premier, and there will be no opportunities to earn lifetime Platinum Premier in the future. While most of the best perks kick in if you have status with Marriott, there are some benefits that you get just for being a member. For example, all members who directly through Marriott receive free wifi for their stay. Furthermore, being a member of the loyalty program gives you access to Member Exclusive rates, which can offer savings of 5-10%, depending on the type of rate you book. That’s a subtle but important distinction. At Starwood you’re “entitled” to a suite upgrade subject to availability, while with Marriott you can be upgraded to a suite at the hotel’s discretion. In other words, with Marriott a hotel can upgrade you to a suite if they want to, but they can also upgrade you to another type of room if they want to. The head of Marriott Rewards, David Flueck, told me that the new policy is intended to mirror Starwood’s policy rather than Marriott’s policy. That was in response to me asking whether suite upgrades were at the hotel’s discretion (like Marriott), or whether they were guaranteed subject to availability (like Starwood). That’s good news. However, the actual terms and conditions don’t reflect the SPG suite upgrade policies. Marriott has said they intend to update the terms & conditions to reflect their intent. How likely are suite upgrades to actually happen? The first thing to understand is that the new Marriott program will have tons of Platinum members. I imaginal e the percentage of elite members in the new Marriott program will be higher than in the old Marriott Rewards or Starwood Preferred Guest program. That’s because Marriott will have more properties than any other hotel group, and it takes less effort than ever before to be loyal to them. Platinum status will require just 50 elite qualifying nights per year, and for having a co-branded credit card you’ll get 15 elite nights, so really you’ll only need 35 nights per year to earn Platinum status. So yes, you’ll be entitled to complimentary suite upgrades, but you’ll be competing with a lot of people, and they’ll still be at the property’s discretion. Historically my perception is that Starwood is much stricter than Marriott when it comes to making sure that hotels are compliant. This is true in several ways. For one, I suspect that there will be a learning curve here for hotels. Given that Marriott has thousands of hotels, there will probably be a lot of hotels that are slow to learn the new policy. Starwood has historically been good at implementing policies across their various hotels, and it’s my understanding that they also charge hotels the most when corporate customer relations has to get involved in a dispute between a hotel and a guest. I wouldn’t count on all Marriott hotels being onboard with these new suite upgrades overnight, and that’s because of the number of hotels we’re talking about, and also because Marriott isn’t historically as strict as Starwood when it comes to compliance. How will Platinum vs. Platinum Premier upgrades be prioritized? Technically both Platinum and Platinum Premier members will be entitled to complimentary suite upgrades subject to availability. With that in mind, how will hotels prioritize these upgrades? Based on my conversation with David Flueck, it seems like hotels will be given guidance as to what these tiers mean, and then based on that they can make their decisions as to how they want to prioritize upgrades. Let me give an example. Let’s say a hotel has 10 suites available, and has 10 Platinum Premier members and 10 Platinum members checking in on a given day. All those members are entitled to suites, so who should get them? Should the hotel block Platinum Premier members into the suites before arrival, since they’ve demonstrated more loyalty? Should the hotel not block suite upgrades, and just upgrade all Platinum guests on a first come first served basis? There’s not a right or wrong answer here, and it will be up to each individual hotel to decide what method they want to use. My guess is that guests may often find themselves in a situation where they’re not proactively offered suite upgrades due to how hotels have blocked rooms. However, I imagine if you want to “pick a fight” with a hotel (which I don’t necessarily recommend doing), you’ll often find that a suite miraculously opens up. It all comes down to the individual hotel’s management. I know from being an SPG Platinum Ambassador that at some hotels I get a “thank you for being an SPG member” at check-in (so I spend 100+ nights per year with the brand and only get thanked for having signed up for their loyalty program? ), while at other hotels I get specifically recognized as being a Platinum Ambassador member. Note that this is independent of earning status, so if you qualify based on lifetime status or credit card spend, you won’t receive those. I do think it’s important to manage expectations with Suite Night Awards, though. They clear at most five days before arrival, and they clear at the hotel’s discretion, so they don’t even have to clear these if there are suites available. While I appreciate the benefit as such, I wouldn’t get your hopes up too high. My general experience has been that when these clear, I feel like I would have gotten a suite upgrade at check-in anyway. Don’t expect to get these to clear on Maui over Christmas, or in Aspen during ski season, or in London during summer, for example. Under the new program, members will earn 10 points per dollar spent. The exceptions are stays at Element, Residence Inn, and TownPlace Suites, where members will earn just five points per dollar spent. Overall this represents improved points earning rates compared to Starwood, since SPG awarded just two points per dollar spent at all properties. Even when you factor in the 1:3 transfer ratio, that means most members will be earning a lot more points. So on the high-end, members will be earning 17.5 point per dollar spent, which is quite a good return on spend. That’s the equivalent of nearly six Starpoints per dollar spent, which is more than I’ve ever earned as a Starwood loyalist. One of the most frequent questions I’ve received is whether or not members will be able to earn points and elite credits for multiple rooms. Starwood Preferred Guest previously awarded points and credit on up to three rooms per night. Unfortunately, Marriott will only award points and elite nights for one room per night per member. Historically Starwood has been aggressive about selling points to members, and in many cases it has represented an excellent deal. Marriott Rewards, on the other hand, hasn’t historically sold points very often. Only time will tell whether lucrative points sales will be available with the new program, though I’d guess that they will be. Marriott’s global promotions are typically called “MegaBonus.” During Marriott’s MegaBonus promotion last fall, they offered a Category 1-5 free night certificate after making just two stays at any Marriott family property. The next global promotion has yet to be announced, but we’ll update this post when it is. Marriott Rewards is one of the few hotel loyalty programs that occasionally offers bonuses for new members who join and complete qualifying activity. In April I wrote about how they had an offer for a free night after making two stays, and it looks like this promotion has been renewed, as there’s now a new booking window for the offer. New Marriott Rewards members can earn a free night certificate after making two stays between July 9 and November 28, 2018. Stays at all participating Marriott Rewards properties count towards this promotion, and the free night certificate will be valid at Category 1-5 hotels. The free night certificate will be deposited in the Marriott Rewards account after successful completion of the second stay, and will be valid for one year from the date of issue. Let me once again emphasize that this promotion is only for new members, and only those who sign up through this link. If you’re an existing member I wouldn’t recommend signing up for a new account, as there’s a good chance they’ll catch you and cancel both of your accounts. However, if you have a family member or friend who doesn’t have a Marriott Rewards account, this could make a lot of sense for them. Prior to August 18th, only stays at Marriott Rewards properties will qualify. As of that point, stays at Starwood hotels would qualify as well, since they’ll all be considered the same for the purposes of the loyalty program. The free night certificate offered with this promotion is valid at Marriott Rewards properties, though since a single program is being formed, it should also be redeemable at Starwood hotels as of August. I would expect that a Category 1-5 certificate will be valid at a hotel retailing for up 35,000 points per night, though that’s just speculation on my part, and I could be wrong. Anyway, I consider this to be an excellent promotion for those who aren’t Marriott Rewards members, but have plans to stay at some of their hotels this fall. This promotion should also be stackable with whatever global promotion Marriott is offering at a given point. Marriott has a global promotion valid through July 20, 2018, though I imagine they’ll offer another one in the fall. Both American Express and Chase will be issuing credit cards for Marriott’s new loyalty program. For now existing cardmembers of all products will continue to be able to maintain their cards, but eventually American Express and Chase will have “rights” to different parts of the market. So let’s talk about what you need to know about these new cards. As you can see, eligibility for a business card welcome bonus will be based on whether or not you have a personal card, and vice versa, which is a new precedent. It’s also interesting that eligibility for a Chase card will be based on whether or not you have an American Express card, which we haven’t typically seen from issuers in the past. 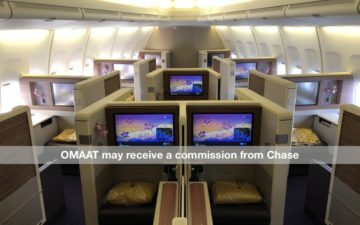 As far as the sharing of information goes, it’s my understanding that American Express and Chase aren’t sharing information directly (for obvious reasons), but rather Marriott is communicating with the two, and sharing whether or not a member has a card that would make them ineligible. With that out of the way, let’s dig into the details of the individual cards. It’s worth noting that one of the unique features of the SPG Business Amex is that it has previously offered Sheraton lounge access in conjunction with a stay. That was a really lucrative benefit, though it’s been discontinued as of August 1, 2018. Can you earn an anniversary free night certificate on multiple Marriott & Starwood credit cards? This has been a point of confusion, but the answer is yes. If you have multiple cards earning free night certificates, then those certificates are stackable, meaning you can get multiple free nights per year. How can you tell when your account anniversary date is? This is something that’s rather annoying. I went to Amex’s website and looked at a summary of all my transactions over the past year, figuring that would easily tell me when my account anniversary is (based on when I was last billed an annual fee). That’s not the case, apparently, as fees aren’t listed in that summary (someone correct me if I’m wrong please). So the only way I could see when I was last billed the annual fee was to go to the “Billing Statements” section and download my individual statements. After going through a few of them, I saw that I was last billed the annual fee for one of my cards on August 18, 2017. That’s fantastic, since it means I should get my first anniversary free night certificate just a couple of weeks after this benefit kicks in. Do you get to keep your anniversary free night certificate if you cancel your card? Once your anniversary free night certificate posts it won’t be taken away. So if you pay your annual fee and then the anniversary free night certificate posts, you can cancel the card and keep the certificate, as it’s linked to your loyalty program account rather than your credit card account at that point. How many hotels will be eligible for these certificates? Apparently 6,300 hotels will cost 35,000 points per night or less, so you can redeem these certificates at a vast majority of Marriott and Starwood properties. Can you pay the difference in points to stay at a hotel costing more than 35,000 points per night? Nope. You need to stay at a hotel that would cost no more than 35,000 points for a standard room for your one night stay. You can’t pay the difference for a more expensive hotel, and you can’t get any points back if your hotel costs less than 35,000 points. Is the anniversary free night certificate worth the $95 annual fee? There are a lot of redundant benefits across the Marriott and Starwood cards, so a lot of people are in a position where they’re trying to decide whether it’s worth paying the $95 annual fee to get an incremental anniversary free night certificate. Everyone has to decide for themselves, though personally I think the answer is yes. Marriott claims that this free night certificate will be valid at about 6,300 of Marriott’s 6,500+ hotels around the world, and a majority of those hotels would probably retail for over $95 per night. Personally I’d pick up as many of these free night certificates as I could for $95 per night, so I think it’s a great deal. To be honest, these cards aren’t terribly compelling for everyday spend. Personally I value Marriott points at ~0.8 cents each, and all of these cards earn 2x points in non-bonused categories. A return that’s valued at 1.6% isn’t very good for your spend. The one circumstance under which I think it makes sense to put everyday purchases on these cards is if you’re going for Platinum status with $75,000 of spend, which can be quite a good deal. As you can see, starting in 2019 all of these cards offer 15 elite nights per year towards status. That’s a fantastic benefit, as it lowers the real requirement for Platinum status from 50 nights per year to 35 nights per year, which is achievable for many. Do be aware that these 15 elite night credits don’t stack, so if you have multiple of these cards, you’ll still earn at most 15 nights towards status annually. On the most basic level, I think the cards can be worthwhile for the anniversary free night certificates alone, given that they can be redeemed at properties that cost significantly more than you’d pay in annual fees. The other major thing to consider is the restrictions for applying for new cards. Having Amex cards can make you ineligible for Chase cards, and vice versa, so generally you’re going to want to stick to all Amex cards or all Chase cards within the portfolio, if possible. In addition to earning points for business and leisure hotel stays, Marriott and SPG have had separate programs for those planning meetings and group events and their properties. Marriott’s Rewarding Events program offers bonus points for meetings and events planned at any of Marriott’s brands. With this, you can earn two points per dollar spent, up to 60,000 points. Platinum Premier members can earn up to 105,000 points per qualifying event. On top of that, you can earn 10 elite qualifying nights when you book your first meeting, plus earn another 20 elite qualifying nights for every additional meeting. SPG Pro will end in August, though reservations and contracts made beforehand will be honored. Like with other points earned through the SPG program, SPG Pro points will be converted to the Marriott system at a 1:3 ratio. Going forward, you can earn benefits under the new Rewarding Events scheme, including bonus points based on elite level (if applicable). This compares very favorably to Starwood Preferred Guest’s award chart, though in some cases pricing may be higher than what Marriott Rewards used to charge. That means for awards booked between August and December, the most expensive redemption will be 60,000 Marriott Rewards points per night, which is the equivalent of 20,000 Starpoints per night in today’s currency. You also get a fifth night free on redemptions, so that brings down the average cost for a five night stay to 16,000 Starpoints per night (in today’s currency). Currently Starwood’s top hotels cost 35,000 Starpoints per night, so that’s the same as getting over 40% off! Previously in peak season a redemption at the St. Regis Aspen or St. Regis Deer Valley cost 140,000 Starpoints for five nights (with the fifth night free). Starting in August that redemption would cost just 240,000 Marriott Rewards points, which is the equivalent of 80,000 Starpoints. That’s a huge discount. If you want to redeem for one of the top Marriott, Ritz-Carlton, or Starwood properties in the world, then between August and December of this year is the time to book. Here’s a list of Starwood’s current Category 7 hotels (the most expensive in the system), where you’d get the biggest savings during this period, since those hotels currently cost the most points. Note that this only applies for hotels with standard rooms — for Starwood’s “all-suite” properties they’re still evaluating what a “standard room” looks like. On top of that, Marriott may change which hotels are in which categories, as they tend to adjust this on an annual basis. The new Marriott program will continue to offer fifth night free on award redemptions. This applies on all free night redemptions, but doesn’t apply on cash reservations, Points & Cash bookings, etc. Between August 18 and the end of the year, the best way to redeem points will be for Category 8 properties, and for properties where you would otherwise stay during peak season. That’s because while Marriott is already introducing a new chart, they aren’t introducing Category 8 of peak season pricing until 2019. So for the remainder of 2018 you can book all of the world’s best Marriott properties for just 60,000 points per night, and you can even get a fifth night free. That’s a great deal. Furthermore, historically “all suite” Starwood properties have been outrageously priced. This includes hotels like the St. Regis Maldives, St. Regis Bora Bora, Al Maha Dubai, and more. Starting on August 18, these properties will be priced according to the standard award chart, so it will be possible to book these for significantly less than before. With the combined program, members will still be able to transfer points to a variety of airline partners. You can do this by booking a travel package, or by transferring points directly to the airline. Let’s take a Category 7 as an example. That would ordinarily require 60,000 points per night, though you get a fifth night free. So seven nights would cost you 360,000 points, compared to 330,000 points with a Hotel + Air Package. So the savings are mild but not huge. How will Marriott handle existing travel packages? One of the strong points of the Starwood Preferred Guest program has long been that you can efficiently convert Starpoints into airline miles. They converted into dozens of currencies at a 1:1 ratio, and you even received a 5,000 point bonus for every 20,000 points transferred. In other words, each Starpoint was worth up to 1.25 airline miles, which is why the Starwood Amex Card has been so valuable for many. It was a card that basically earned you 1.25 flexible airline miles per dollar spent. The good news is that with the new program, it will continue to be possible to efficiently convert Marriott points into airline miles. Specifically, Marriott points will convert into airline miles at a 3:1 ratio, with a 15,000 point (or 5,000 mile) bonus for every 60,000 Marriott points transferred. In other words, 60,000 Marriott points will convert into 25,000 airline miles. This means that it’s more or less business as usual for SPG members, since 60,000 Marriott points is the equivalent of 20,000 Starpoints. We’re actually going to see more airline transfer partners than ever before, which is good news, though for certain partners (including United), the transfer ratio is worse for Marriott Rewards members than it was previously. Historically one unique way you can redeem Starpoints is through SPG Moments, which lets you redeem points for sold out concerts and other unique experiences. Fortunately Marriott adopted this concept shortly after taking over Starwood, and this will continue to be available going forward. I redeemed my first Marriott free night certificate earlier this year (in the past I’ve only outright redeemed points). These are similar to the ones they offer through their co-branded credit card, so the redemption process should be identical in theory. In practice, the transition may make things complicated, so it may be more efficient to call Marriott Rewards at 1-801-468-4000 to redeem your free night award. Anyway, to find your Marriott Rewards free night certificate, simply log into your Marriott Rewards account and click on the “Activity” tab, where you’ll see a section with “Unused Certificates,” assuming you have any to redeem. That part is straightforward enough, though what tricked me was that there was nothing there to click on to go through the booking process, and I couldn’t get the website to display an option to redeem the certificate, at least not initially. It took me a while to figure out the correct process, and then it was obvious. To redeem a Marriott free night certificate you just click “Use Points,” as you’d do if you were redeeming points for a stay. On the next page you’ll see all the options for redeeming points. In this case I didn’t even have enough points for a free night, so interestingly it only showed me hotels that were within the category range of my certificate. This page lists the category of each property, so you can easily verify that a property is in an eligible category. On the next page you’ll see the price in points, so you’ll want to select the base room. It let me select this even though I didn’t even have enough points in my account for the room I wanted. Finally the last page before you confirm the reservation shows your e-certificates as a payment method option. Since I didn’t have enough points, I had the option of paying $62.50 to buy 5,000 points, or the option of redeeming a certificate. So just go through the process of making a points booking (even if you don’t have enough points), and then the last page before confirming the booking, select the eligible e-certificate that you want to use for the booking. Marriott and Starwood both offer some unique partnerships, and in many cases these are incompatible, so we are seeing some partnership changes. The RewardsPlus partnership between Marriott and United is sticking around. If you are a Marriott Platinum Premier member you’ll receive United MileagePlus Premier Silver status, and United MileagePlus Gold members and above will continue to receive Marriott Gold status. Furthermore, when booking a Hotel + Air Package, members will continue to receive a 10% United bonus. The Crossover Rewards program, which launched in 2013 as a way for Delta and SPG members to earn reciprocal benefits, has been terminated as of July 15th, 2018. I’m guessing this is due to Marriott’s close relationship with United. It hasn’t been announced whether Marriott or Delta will have any sort of a partnership going forward. Starwood has partnerships with both Emirates and China Eastern to offer reciprocal benefits and points earning opportunities for elite members. These partnerships continue to be available as of now, though it hasn’t been announced what will happen with them in the future. If you’ve already registered for the Eastern Explorer Rewards program, you’ll continue to receive your benefits for now, though the program isn’t currently open to new registrations. Unfortunately, the partnership between SPG and Uber was discontinued as of late 2017, so it’s no longer possible to earn Starpoints for Uber rides. 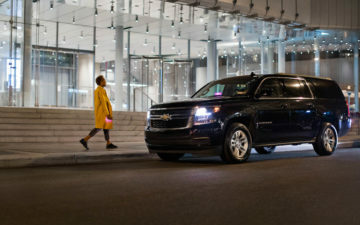 If you want to earn points for ridesharing, Delta’s partnership with Lyft is worth considering, as you can earn one SkyMile per dollar spent. Last November, some minor changes were announced to the Marriott Rewards and Starwood Preferred Guest programs for 2018. Among these changes was that Starwood and Hertz would be introducing a new partnership, and the existing partnership between Marriott and Hertz would be expanded. Starwood had a unique partnership with Caesar’s a few years back, though that ended as of December 31, 2016. Wyndham Rewards has since announced a partnership with Caesar’s, so don’t expect anything from Marriott on this front. Luxury Privileges is Starwood’s own preferred partner program, similar to Virtuoso and American Express Fine Hotels & Resorts, both of which offer great perks like resort credits, room upgrades, and complimentary daily breakfast. The difference is Luxury Privileges is Starwood’s proprietary, in-house program designed to reward and increase loyalty among travelers. Below Ford has put together a list of frequently asked questions he’s received from clients, in hopes of clarifying and explaining the program so you can best take advantage of it. Which Starwood properties take part in Luxury Privileges? The above properties that aren’t a part of Virtuoso or Amex Fine Hotels & Resorts still participate in Luxury Privileges, and participation with Virtuoso or Amex doesn’t preclude membership in Luxury Privileges. You can find a list of Luxury Privileges hotels and their amenities here. Many W Hotels in particular aren’t a part of Virtuoso, which is an added perk since W properties are a popular choice for travelers looking for a trendy, high-end experience without an absurd nightly rate (at least in most cases). For example, the W Seattle is a part of Luxury Privileges, but not part of any other major program. By booking through Luxury Privileges you get free breakfast, a $100 food & beverage credit, etc. What are the typical perks available through Luxury Privileges? Do Luxury Privileges rates cost more? The Luxury Privileges rate is almost always the same as the best available rate, known as the “flexible rate” at Starwood properties. It is not available with discounted prepaid rates and is not combinable with other promotions and rates offered by Starwood. There are even cases where the Luxury Privileges rate is significantly better than the flexible rate. For example, at The Chatwal, an SPG Category 7 hotel and Luxury Collection property in NYC, the Luxury Privileges rate is in many cases significantly less than the flexible rate, and in some cases even less than the pre-paid rate. Do Luxury Privileges rates earn points? Absolutely. Luxury Privileges rates count the same as any other stay booked directly with Starwood. You’ll earn Starpoints, along with elite qualifying stay and night credits. Can I combine Luxury Privileges with other programs and promotions? Nope. Luxury Privileges isn’t combinable with Virtuoso or Amex FHR, nor is it bookable through the Citi Prestige fourth night free benefit. When a property participates in both Virtuoso and Luxury Privileges, for example, you have to compare the perks and rates and decide which is a better value. It’s also important to note you cannot book a Luxury Privileges rate with points or any combination of cash and points. It’s only available on revenue bookings. How do I book Luxury Privileges? Luxury Privileges has to be booked through a Travel Advisor with access to the program, and rates for the program aren’t publicly available to those outside the travel industry. If you are interested in booking a Luxury Privileges rate at a Starwood property, Ford is always happy to help and can be reached via email at [email protected] (if you’re also a Travel Advisor who has access to the program, feel free to leave your contact info below as well, so others can contact you). As I said, in a vast majority of instances, rates tend to be the same as the flexible rate. Most of the major hotel chains adjusted their cancellation policy for flexible rates in 2017. Marriott’s current cancellation policy will continue to apply across all brands. Flexible rates need to be canceled at least 48-hours prior to arrival to avoid a fee. However, the policy does vary at properties, including resorts, so you’ll want to check the policy for the specific hotel you’re booking. In an effort to get consumers to book direct, most of the major hotel chains offer some sort of a “best rate guarantee.” Both Marriott and Starwood offer these, and going forward Marriott’s best rate guarantee will continue to apply. In the event that you find a lower rate through a third party than what Marriott is charging directly, they’ll match the rate and give you 25% off. Terms and conditions apply. What other questions can I answer about the new Marriott Rewards program? The following links will direct you to the rates and fees for mentioned American Express Cards. These include: Starwood Preferred Guest® Credit Card from American Express (Rates & Fees), and Marriott Bonvoy Business Card From American Express (Rates & Fees). 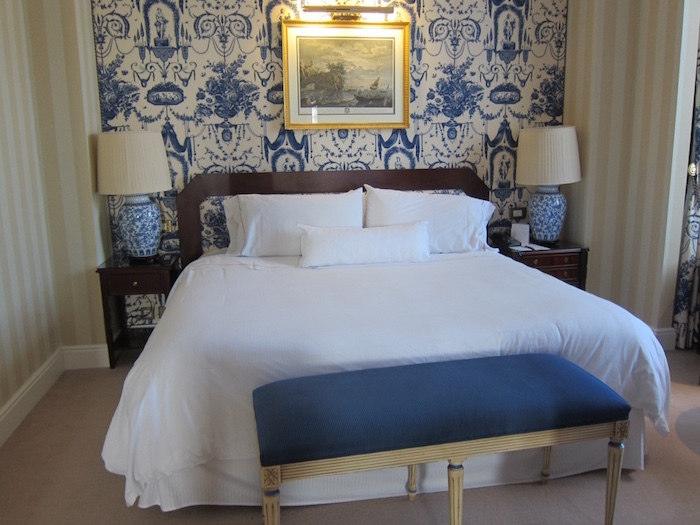 SPG Choice benefits 50 for 10 suite nights is no longer an option. MEMBERS WITH AT LEAST 50 ELIGIBLE NIGHTS CAN CHOOSE THEIR BENEFIT. We’ll unveil our Annual Choice Benefits and invite eligible members to select the new benefit that suits them best. Any idea why they stopped the offer of suite nights prior to July 31? Does this mean platinum elite members can access ritz carlton lounge under the new program? I know this is not possible with the previous program. Wow. Nice. job. Lot. of thoroughness here. Already linked my Marriott and SPG accounts. 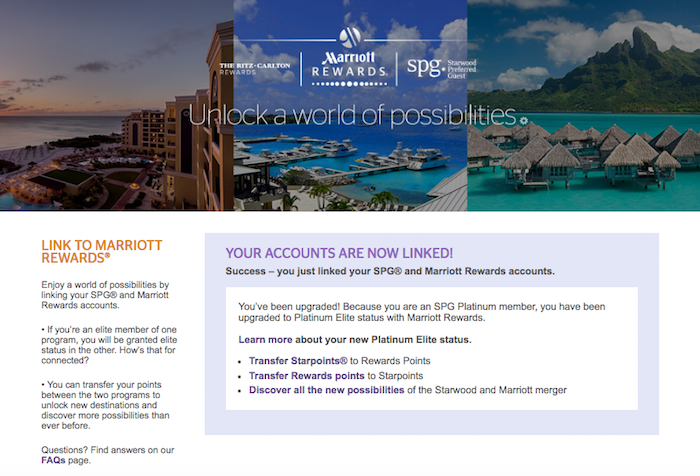 Was Platinum Elite last year so it carried over to SPG after linking the accounts. 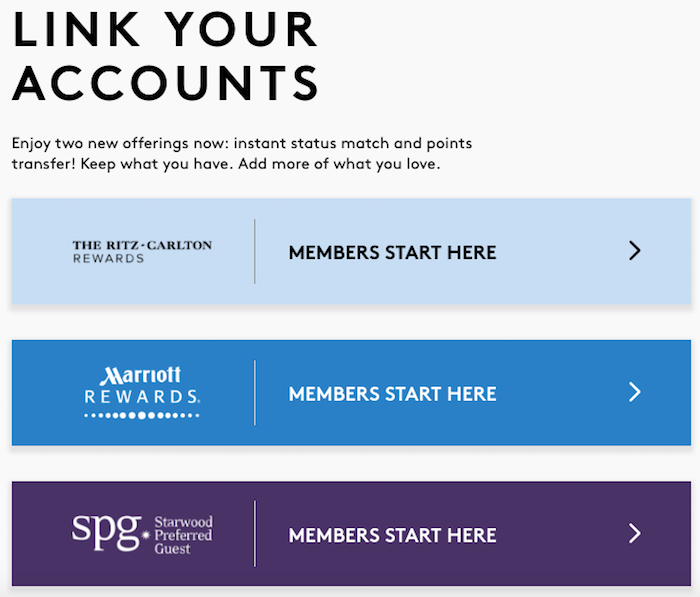 Do I need to do that linking of accounts again and move points (eg all of SPG points to Marriott) so Marriott can figure out on August 18 which of the 2 accounts I wan to retain? Great job lucky this is what makes OMAAT so special. This took an immense amount of work and is incredibly detailed. Keep up the good work this is what keeps readers coming back and makes you the best travel blogger there is. I linked accounts last year and am Marriott Gold due to being SPG Gold. I earned SPG Platinum in 2018 by completing 18 nights through a promo. Will I be a Marriott Patinum once the conversion is done? I have the Marriott Chase card, got it in May. So does this mean that if I apply for the SPG BEFORE Aug 26, I can get the bonus? “Using points for better rooms” section is missing it seems. Totally agree you almost need a math degree to decipher the breakfast amenity issue. If you don’t know this program inside out, you’ll get caught out! And finding the link on the Marriott site to the chart linked here is not easy, do definitely recommend bookmarking this page! – Given the significant amount of new points earned per $, and much in excess of what used to be the case, my concern is that redemption rates will start to increase in fairly short order (otherwise going to have hundreds of millions more unredeemed points in circulation) and I need to adopt a more aggressive earn and burn approach. What are your thoughts on this? – What happens if I cross the SPG 75 nights threshold between now and Aug 18th? I assume I get the SPG 75 night benefits which would apply thru 2019… but do I also get the additional 5 SNA’s come the end of the year? Should we book a refundable rate for a room at one of the SPG Cat 7+ properties and switch to points after the dust settles? Man, I know this took a lot of time to put together! Wow. Thanks! Your Rewarding Events summary is off. You get 10 EQNs for the first meeting, but 0 for future meetings. The 20 EQNs you’re referring to are for booking a group room block – you earn 1 EQN for every 20 room nights consumed as part of a room block, up to a total of 20 EQNs per year. Extremely comprehensive, with no fluff or BS. This is why OMAAT remains my favorite travel blog. Thanks, Lucky and team! Because I am a Marriott Gold based on spend, not matching, will I be Marriott Platinum on transition? The combined Marriott Rewards program will have five elite tiers, with credits being awarded based on stays, not nights. It should be the other way around, shouldn’t it be? As best I can tell, transferring points to United got much better under the Marriott program. It appears that the 60,000 Marriott Points will transfer at a 3:1 ration with a 5,000 bonus, thus equaling 25,000 United Miles. You are basically getting 66% more miles than before, yet you implied that the transfer ration was worse? Am I missing something? This is a fantastic resource – thanks to the team for the investment of time. That said, I’m unlikely to refer to it very often as I was getting my Marriott Gold membership via United RewardsPlus. Now that it’s falling back to a status that isn’t even as good as my SPG Gold status, I’m back to being a complete free agent for my 40 or so hotel nights a year. Marriott will probably lose the 10-15 nights I was giving them. @ Vasya — Yes, fixed, thank you!! Great piece! Just curious about the Make A Green Choice program after the merger. Great summary. One error: you reversed the credit card benefits for SPG and SPG Business. Biz card gets the higher bonus and 4x category. Isn’t United silver offered to Marriott Platinum members? Now it requires Platinum Premier? Is there any insight into whether the 3x per year Club Floor Upgrade certificates (good for up to 7 days) will continued to be offered. I have used these in the past and found them one of the best benefits of the ritz card. There has been no mention of this from anything I received from Chase or have read online. 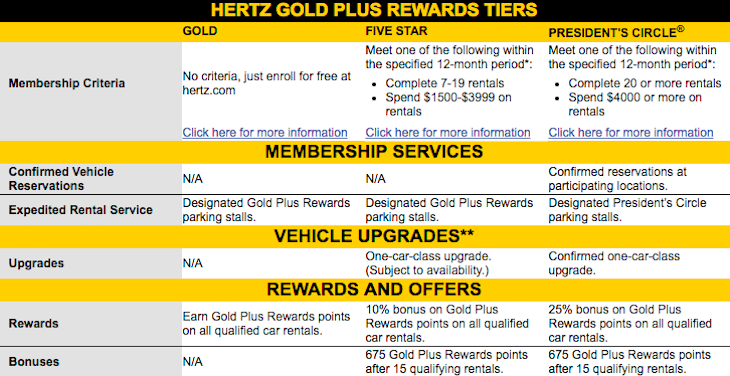 Do you know when the new Hertz status match will take place? 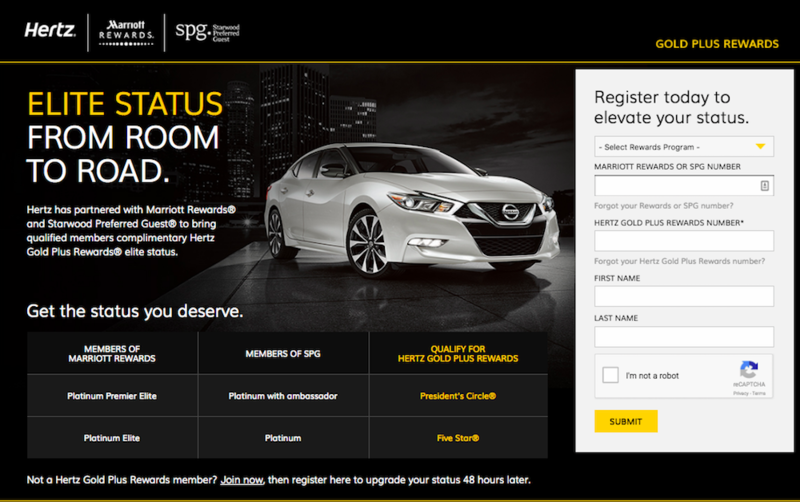 I asked Hertz and was told I needed to be invited by Marriott for the President’s Circle match. For Ambassador status, does anyone know if there will be a simple way for members to track their spend progress towards the required $20,000? I will likely reach 100+ nights between SPG and Marriott this year but I have no idea if I will hit the $20,000 requirement. @Jules – Yes, there will be a tracker on the combined status page once you hit Platinum I believe. Wow, this is awesome and much easier than reading anything from Marriott’s website. SPG and Marriott nights will be combined together, correct? i have 16 with SPG, and 36 with marriott so needing to get to Platinum. A very nice and thorough job, except for the now tired attempt to perpetuate the debunked and unsubstantiated claim that SPG upgrade policy was a ‘differentiating’ feature of the program. That bogus claim about how SPG upgrade policy stands apart from those of the other programs, which I thoroughly debunked, simply needs to stop. The bogus notion that SPG upgrades were not at each hotel’s discretion was hatched by simply cherry-picking what was desired out the full SPG policy. The result of making up a bogus upgrade policy for SPG was not been pretty, as self-entitled top SPG elites, many of them self-anointed ‘travel gurus’, took to the airwaves to denounce SPG’s duplicity…for correctly interpreting their own policy! Soon, SPG will be replaced with Marriott in similar complaints about the merged programs, when the expectation that MR Plats will be “entitled to” or be “guaranteed” upgrades (especially to suites) is not met…as it won’t be because a hotel loyalty program perk that is (a) contingent on AVAILABILITY and (b) at the DISCRETION of each hotel cannot possibly be “guaranteed” or or claimed to be an “entitlement.” A “guarantee” that depends on or subject to a contingency is an oxymoron! Great job!! Thank you! I do have one question and one comment. -I didnt see any mention of the lifetime status that were for this year only. My understanding was lifetime nights for both SPG and marriott were being combined and you had to the end of the year to qualify at the original levels (ie SPG 500 nights). -I have SPG bookings for after 18 Aug under my SPG number. Will they automatically be converted to my Marriott number or will I have to do something? I am missing the details about the extension of the Marriott perk to the spg brands of giving out status benefits (of course except stays/night credits and points) on 3rd party and group bookings. Will AmEx platinum still give me Marriott Gold status? It used to through SPG Gold. Thank you Lucky and team for such a comprehensive guide. Does anyone know if AmEx platinum will continue to give me Marriott Gold status? It used to do so through SPG Gold. Lucky, this is a great write-up. Thank you! So I went to link my accounts, and the Marriott site says they’re already linked. How do I figure how which is the program being status-matches? I hav SPG gold, but also have a higher Marriott gold elite (platinum in August). I really want the Marriott status to survive. This is great, thank you for all the detail. One more question: Do we know how Marriott will handle redeeming points for non-standard or base rooms? 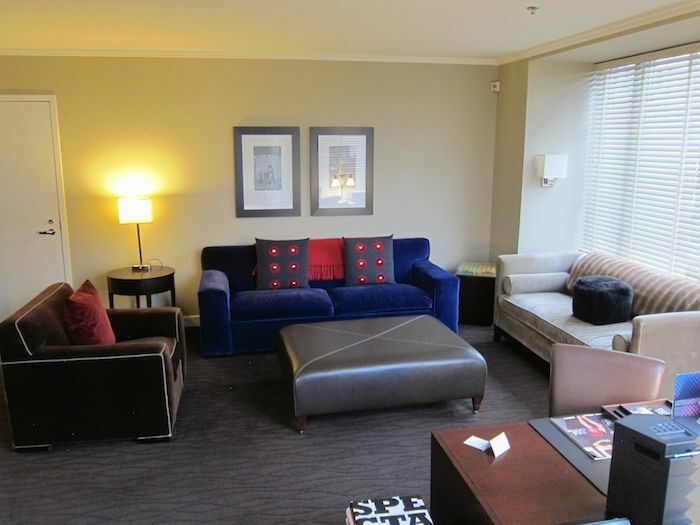 For example a suite or club floor room? Historically SPG just required additional points, but to my knowledge Marriott only offered this for Points + Cash, if at all. Nice job by DCS again bringing his Fake News to a good & rational discussion…as usual, because no one is talking about endlessly mediocre Hilton, he goes on another falsified anti-SPG rant. Thanks for the reply. Has Marriott released any additional information about the Ambassador $20k spend requirement and the tracker function itself (e.g. website link, announcement)? I’m curious to know if the $20k spend is restricted to the room rate only before taxes and if incidental spend such as room service and restaurant meals charged to a room will count. @UA-NYC — It is stupid to accuse anyone of going on a “falsified anti-SPG rant”, when the program is dead and, as of this week, buried. You seem to have a thing for necrophilia. I don’t. Great job for writing this up Lucky. The only benefit I care about is breakfast benefit and this new breakfast benefit is way too complicate. I am sticking to my Hilton Aspire card with instant Diamond status, and have breakfast at restaurant as well as at the lounge too if I want to. Do we know what the points transfer policy between two household accounts will be once the new program kicks in? Will reaching 25 stays on SPG properties this year give me Platinum level for 2019? Random tangentially related idea. Amex Canada has a Cobalt Card which gives 5x points for food and drink. Canadian Amex points transfer 1000:1200 to the new Marriott points (for a brief period of time it was 1000:1500 with transfer to SPG and conversion to Marriott points). End result, get 7.5 Marriott points for every USD spent on food and drinks (minus the foreign transaction charge). Seems that the ability to convert points directly to airline miles has devalued use of the Starwood Amex cards for regular spend. Under the old system, I earned 1 Starwood point per dollar spent (regular spend). So I spend $20,000, get 20,000 Starwood points, and convert that into 25,000 miles (so 1.25 miles per dollar spent). But under the new system, I earn 2 Marriott points per dollar spent (regular spend). I now need 60,000 Marriott points to convert into 25,000 miles. So I now need to spend $30,000, get 60,000 Marriott points, and convert that into 25,000 miles (so 0.83 miles per dollar spent). I think I got the math right, or is there something I’m missing? Everyone please ignore DCS. Great job Lucky, everyone should give credit where credit is due. Wow! That was crazy! Great job! Also want to know about the ritz club level certs. And what will happen to my current ritz tier 1-4 certs mapping to what pointage? And re the point mapping…these 35k credit card certs….after 2019, they will only be good for the hotels category 1-4? Because you cant use them for the 40k peak time of the category 5. You have the “Transfer Directly to Airlines” section posted twice, one right after the other. Not providing a brand standard benefit isn’t the function of an errant property (unlike upgrades, they can’t claim there was no food….on any day). Also whilst the full T&C may not have been released, they’ve released plenty of details comprehensively (breakfast, points redemptions etc etc) and amongst those, the full legalese sounding verbiage of the upgrade benefit in the FAQ section. This makes it VERY clear the new policy is same as old MARRIOTT policy and NOT new Marriott policy. It is in writing vs a vague verbal comment by the head of the program, I cannot fathom why we are following the spoken word. Lounge access isn’t being devalued as a function of T&C but in reality there will be significant changes. Thus far only Westin, Sheraton and Le Meridiens were required to offer lounge access, however these represented high 90 percentage of SPG system lounges, as a consequence there was incredible pressure on the remaining lounges to offer access (Luxury Collection mainly, but also the odd W, St Regis or Four Points lounge). However when this peer pressure no longer exists since the bulk of the system no longer conforms so monolithically, I wonder how long the LC/W/StR/4P lounges will be available. This isn’t a written devaluation, but it will be in effect just the same. Breakfast isn’t what they advertised it to be and you are no longer assured breakfast as a top tier benefit at all hotels. Lounge access will be undergoing a devaluation in effect. Ugh! Can they make this merger, program integration, and new program more complicated? Of course they can, and they will. With so many exceptions among the brands and categories, what’s the point? Who wants or has time to consult a spread sheet or look up the Ts & Cs for every stay to see what benefits you are entitled to. Great job of trying to clarify the zillions of issues and questions, but perhaps the most important statement was that terms and conditions have not been published. That means anything could be changed. Of course even after Ts & Cs are published that is always the case with loyalty programs. Even if this is in fact the program that rolls out, I have issues. First, the program should have an upgrade policy that is published and followed. Platinum Premiers should have priority on upgrades. Marriott has established Platinum Premier (75 and 100) as the highest member category. It deserves the highest upgrade priority. People would raise hell if airlines upgraded silvers over golds or golds over top tier. Having no priority for upgrades invites all kinds of shenanigans band mistrust. There is already a lack of trust in the front desk clerks. This makes it worse and opens the door to discrimination for any reason or no reason at all. Status is supposed to mean something. For upgrades, status means nothing. The upgrade depends on the whim of the clerk. Second, lifetime status is not equivalent to the benefits of entry level annual status. As a Lifetime Platinum Premier (LPP) I must still stay 75 nights to get the same benefits any other member gets with annual Platinum Premier status. But if I stay 75 nights, there is no point in having lifetime status. And actually the LPP benefits are less than annual Platinum status. Starwood had four levels of Platinum. Lifetime platinums got all of the benefits of annual entry level platinum. LPP has two levels, but LPPs do not get the benefits of entry level Platinum Premier. Some accept this “decoupling” but that’s just a huge devaluation of status. LPP is a status that is lower than annual Platinum except for a few more points and 48-hour guarantee. As a general matter I’ve valued the Your24 greatly. More than an ambassador. Suite night awards are not much of a benefit. Platinums are already entitled to suite upgrades. Letting us know three days in advance is not much help because the availability of a suite cannot be guaranteed when booking. If a SNA moved one higher on the upgrade list, then the SNA would have great value. Of course there is no upgrade list with definite rules of priority. Also the 20,000 dollars in spend seems high compared to airline spend requirements and the fact that so-called resort fees, which are really room rates, are excluded. I believe a Hyatt – Starwood merger would have been less complicated and better for members. This merger is a mess. If I acquire the SPG Luxury Card, will the automatic Gold Status extend to Platinum through 2019? After that, it’s necessary to spend $75K per credit card account year rather than every Marriott membership year? @ Explore — Nope, it will get you Gold from the beginning and it will stay that way, so you won’t get SPG Platinum out of it unless you put the spend on the card. Excellent write-up…..better than what I git e-mailed to me from SPG! Curious about the “Green Choice 500 star points/night” option…. Had to say thank you ! In commented on this yesterday and you got it about right. 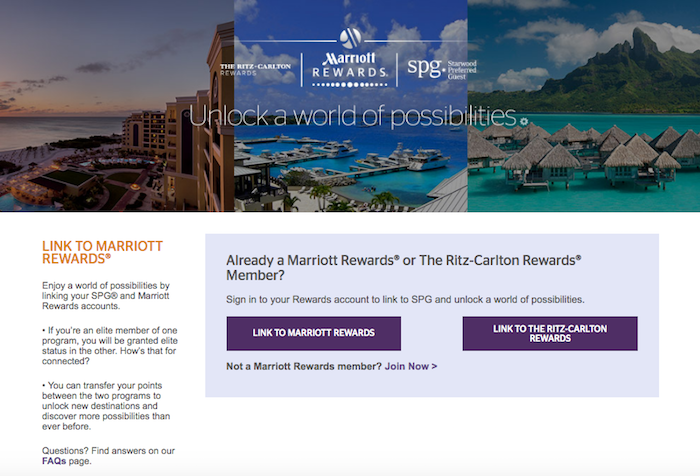 Marriott did not want to have anything to do with SPG’s feature that incentivized members to transfer most of their starpoints to airline miles instead of keeping the revenue in-house by redeeming the points for award stays. However, aware that points transfers to airlines were very popular with SPG loyalists, Marriott approached it cleverly: They left the structure of the transfer of points to airlines essentially unchanged, but disincentivize the practice – effectively crippling it – by limiting the number of points that can be EARNED THROUGH UN-BONUSED spend on their new co-branded CCs to the equivalent of earning 2/3 or 0.67x starpoints (from 1x.) That effectively changed the transfer of points to miles from 1:1 to 1 point for 0.67 mile. 1x – 0.67x = 0.33x or a 33% devaluation. You mention in the Earning Points for Multiple Rooms section that with SPG you got points for up to three rooms, but that Marriott is only for one room. I have always gotten points for up to three rooms under my name (that I pay for), but only Elite Nights for the room I was actually in. So, Marriott isn’t matching SPG, but also isn’t keeping their existing earning benefit? I have always gotten points for up to three rooms that I have booked and paid for with Marriott. So, they aren’t matching SPGs program, and they are actually reducing their program?? Only ever got one Elite Night Credit, but always got points for up to three rooms. Brilliantly put together. I have a question as a Gold I booked to Marriott properties back in Feb in Dubai and Oman which would have given me apart from Upgrade, access to the Lounge……will I lose that now if so they’ll lose me and any future custom?!!! Many thanks. Same question as a few other readers here. You have mentioned that going forward members will earn points and elite night credits for only 1 room per night. Where do you have this information from ? Previously Marriott awarded elite night credits only for 1 room but points for upto 3 rooms and I do not see a change to that anywhere. Could you kindly let us know if there’s any published update to this policy ? BTW for any newbies to the blog, there is zero factual basis to DCS’ claim that “Marriott did not want to have anything to do with SPG’s feature that incentivized members to transfer most of their starpoints to airline miles instead of keeping the revenue in-house by redeeming the points for award stays”. It has not been released publicly ever (proprietary info unnecessary to share), but it is the height of conspiracy (and stupidity) to think anything other than the vast majority of SPG points were earned for, yep, Starwood hotel stays. Most Starwood folks probably weren’t even aware you could do it, and not everyone who did know even took advantage of it. Lifetime status question – Is the years requirement for PLT status going to be without exception? I’ll have 700 nights between the two programs by EOY (6 yrs SPG + if Marriott counts SPG status match years). Currently SPG LT Gold. Apologies if you’ve covered this, and I’ve missed it, but any idea how Ritz Carlton tiers are going to be effected (if at all)? By that I mean the redemption rates for tiers 1-5. Considering lifetime status, members will still be able to complete lifetime status according to the old program rules if sticking to hotels of one of the legacy programs until Dec.31st 2018 . E.g. 250 nights and 5 years of elite in SPG for lifetime gold (which will be 400 nights from next year on). YET: does that mean I can still accumulate nights for up to 3 rooms between Aug. 18 and Dec. 31 to qualify for spg lifetime gold or will it nights for 1 rooms only from Aug. 18th forward? Hey, where did you get the info for breakfast platinum gift of $10 f&b + 1 guest, daily for ac hotels in the U.S.? I’m platinum at an AC hotel in the US right now and she gave me 2 $10F&b vouchers for the whole 7 day stay and when I asked if we get these daily she said no 1per stay but I gave you a 2nd to apologize for the room taking so long to be ready. Minor editing note: it looks like the “Transfer directly to airlines” section is duplicated (appears twice). I don’t think I saw anything in the write-up but what is happening with the Executive Club level for having the SPG Business card? Is it going away? I’m heading to Australia at the end of the month and want to book my hotel and this may determine which brand I use. @ Rob — From Marriott, but I don’t believe the option to choose breakfast as a Platinum welcome amenity has kicked in yet for AC Hotels? You don’t mention this, so is Marriott really going to take the nights from both SPG ad Marriott, combine them, and let them qualify for the legacy SPG lifetime status? Does anybody know if on August 19, you can book award stays at SPG hotel even before you have enough points? Like how Marriott does it now with their hotels? Take your pick Laura, as of 8/1, they all earn the same. But are you going for status on any particular card? And Amex is most likely to waive the annual fee if you have enough spending on the card. Has anyone figured out the answer to Yvonne’s question above about whether the Amex Platinum card benefit of SPG Gold Status will transfer to Marriott? – Any idea how they will treat the point reservations on SPG side that is later canceled – saying I`ve booked one for 700 Starpoints and after the merger it is 25000 marriott point property. so in case I need to align my dates Will I receive back 21000 points and then will need to book for 25k. Is it possible that the 15 nights from the old Marriott personal card will stack on top of other card nights? In the upgrade offer I received from Chase, there was an asterisk indicating the existence of the stacking restriction for the old card, but not the new one. I’m considering NOT upgrading because of the 1 credit per $3,000, but this would seal the deal. I am wondering if there is some reason that Chase couldn’t easily pull this benefit from existing cardholders. Thanks for the awesome summary. This must have been a lot of work. I am interested in the new Amex Luxury SPG card, but I was sent an offer for the new Marriott card which I refused since the 10,000 point bonus didn’t seem worth the hassle of adding a new credit card. I am a long term owners of a Marriott Premier Card, but now I discover that since I was sent an unsolicited offer from Chase for the new Marriot Premier Plus card that Amex will deny me any bonus for signing up for their Luxury card. Does Marriott/SPG appreciate how mean spirited this is? I didn’t ask for Chase to send me an invitation, but now that they have, Amex won’t give me a bonus! Glad to see Marriott is on my side – NOT! These rules couldn’t have been written by Amex since they are in the customer acquisition business, they must be coming from Marriott (or from Chase through Marriott). We should at least have the option of cancelling our Chase cards in return for the Amex bonus, so unfair. I just feel like Marriott is telling me to go pound sand! I’m at the Westin LAX, which I’ve beens staying at for years. I’ve had two front desk staff tell me that not only will I not earn points, but I’m not eligible for any of the platinum perks since I booked through a “3rd party”. This particular booking was paid for by a client via Hotels.com. I do understand the reason for not awarding points if the rate was offered @ a discount, but I don’t get the idea of eliminating the perks (free wifi, entrance to lounge, etc). The most alarming note is that they repeatedly said no 3rd party bookings eligible. I even called SPG 800 # and they confirmed. This means any booking outside of hotel website or calling disqualifies you. I asked if booking through a travel agent (think of your corp travel agent) disqualifies and they said yes. This is a bad policy, as a large percentage of bookings are made through travel agents for corporate travel. I took the plat challenge and was granted Platinum status on 7/16/18 under the old program. My understanding is that I would be Platinum premier under the new program. As of now, my account is only showing Platinum not Platinum premier 🙁 I’ve called Marriott reward several times and not getting any right answers except to wait. Anyone else in the same situation or can share data point of getting platinum premier? I was SPG Platinum 75 going into the August 18th integration (based on 2017 activity of 80+ nights) and I had Platinum Premier for just 3 days before being bumped down. Based on the conversion chart they showed I should be Plat Premier, not regular Platinum so clearly they have a lot of issues here. Really unimpressed by how this is being handled a MONTH after they started. Thanks for allowing travel advisors to post here! My name is Rich, I am a travel advisor and a member of the SPG Luxury Privileges program. I am also a member of Virtuoso and many other luxury brand incentive programs. I have worked with many One Mile at a Time referrals and happy to help plan your next trip! contact me at [email protected] Follow us on IG and FB as well! 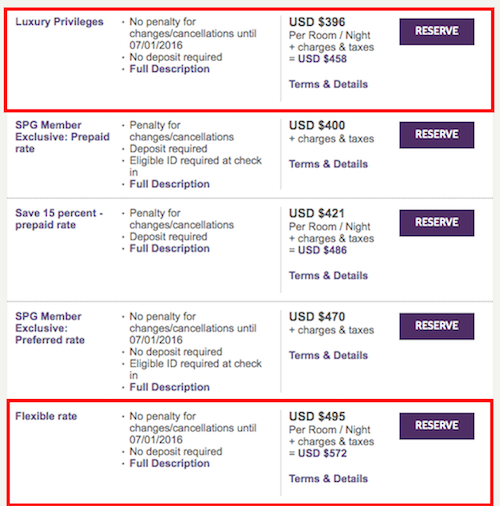 *Important to note* SPG Luxury Privileges benefits are STILL available, even after the Marriott/SPG merger back in August! Many hotels still offer free night benefits through November, so if you’re planning a trip this fall, now is the perfect time to book. Spoke with Marriott agent today. Points transfer time to airlines is no longer a few days. SHOCKED to hear Marriott has changed it to 2.5 MONTHS!!!!! (10-15 weeks). Doesn’t this deserve riotous response from the avgeek community? Did I miss something? Can you update the list to reflect Titanium & Ambassador benefits specifically for Breakfast benefit ?